Let’s look at strategies for dealing with added sugars. Eating and drinking a lot of added sugar is one likely cause of the obesity epidemic in the U.S. Too much added sugar is linked to increased risk for high blood pressure, high cholesterol and diabetes. Here are 5 strategies for dealing with added sugars and avoiding sneaky added sugars in your diet. Strategies for Dealing with Added Sugars 1. Know Your Limits. The American Heart Association recommends no more than 100 calories a day of added sugar (6 teaspoons) for women and no more than 150 calories a day (9 teaspoons) for most men. A typical 12-ounce can of regular soda has 130 calories and 8 teaspoons of sugar. Strategies for Dealing with Added Sugars 2. Sources. Sugar-sweetened beverages, such as soda, are the biggest source of added sugar in the American diet. Also look out for baked goods, ice cream and candy. Strategies for Dealing with Added Sugars 3. Replace Sugar. Drink water, sparkling water, unsweetened tea or sugar-free beverages instead. Eat fruit for dessert, and if you buy fruit juice, make sure it is 100% juice with no added sugars. Strategies for Dealing with Added Sugars 4. Find It. Read food labels! Added sugar might appear as honey, molasses, can juice or fruit juice concentrate. Also look for words ending in “ose”- like fructose and dextrose. This usually means added sugar! Strategies for Dealing with Added Sugars 5. Make Food Tasty. No one likes bland food, which is partly why it is easy to consume so much sugar. Enhance foods with spices, such as cinnamon, nutmeg or ginger. 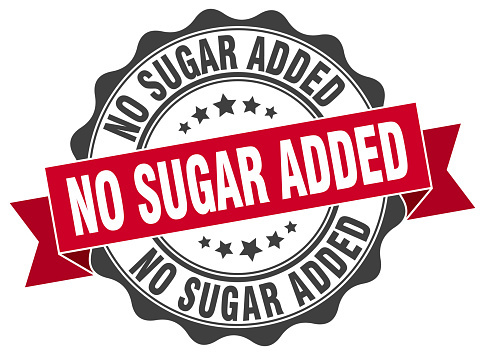 Added fresh fruit to cereal or oatmeal to replace sugar. KareBoost Health is here to help. Contact us to find out how our health coaches can help your family be healthier through our FREE Consultation with Dr. Karen Leibowitz.